The future of the university? I’ve been participating in the Jisc on-line e-Learning conference this week, based on my video on ‘Do Institutions have a future‘. I’ will post later on the organisation and use of technology at the conference – although just to say here that I think it a great pity Jisc did not make this an open conference. Anyway the discussion has swung back and forth looking at such issues as drivers and barriers to change, models of governance and democracy, resilience and change and the design of physical and on-line learning spaces. One interesting feature is the influence of the ecology movement both in raising the issue of energy resources as a driver for change and in borrowing ideas from the wider environmental movement as the basis for change in educational institutions. I am particularly taken by idea sput forward by Fred Garnett on participatory education in a participatory democracy and the work of London Learning Lab on an Open Context Model of Learning – Transformational Pedagogy. “Been in meetings all day so only just catching up on discussions. But issues seem to be a continuation of yesterday. A few thoughts – the student ‘voice’ hasn’t appeared here. and in driving change students will be important. Are the barriers too high. Well – not if we are talking about barriers to learning. those are coming down everyday as more and more high quality learning materials appear on the internet. I was at a friends house lat night where she had to kindness to let me watch the football on television. Being bored herself, she was playing or so I thought on her ipod touch. When I looked at what she was doing she was following a tutorial on Exel. However she was frustrated that Flash videos will not play on the ipod so I showed her ITunes U which has 200000 videos and podcasts freely available on line. That is not counting of course all the OERs appearing daily. And there are increasing numbers of free courses. Are wiffys tweets with attitude? Following on from 25 ways of using mobile phones for learning, I thought I might blogsquat on Graham’s blog and look at some of my favourite mobile apps. You can go to http://wiffiti.com/screens/12568 and add your own message to the screen above in real time through your browser or just Text @wif12568 + your message to 87884. The “Lean Back” experience of viewing user-generated content from a distance (in a class, a public location or a conference) as well as the “Lean Forward” experience online or via text messaging. 20 things you could use Wiffys for…. You can run a brainstorm over an extended period not just for 10 mins in the classroom. Tell a story, get kids to write their own endings….or build up a story from scratch. I’m currently loving the idea of non-sequential narrative ie synchronous rather than linear stories. Wiffiti is excellent as the posts fade in and out and are backgrounded and foregrounded constantly. Also helps kids get used to writing for web pages rater than ‘essays’. On any subject under the sun – text anecdotes / memories, pictures – how about something easy like ‘our village’ to start off. Would be good to run along side Sounds of the Bazaar radio so that comments could come in live. Some of you may remember that in May I posted an order form for the EU Taccle project handbook on e-Learning – snappily entitled “Teachers Aids on Creating Content for Learning Environments.” Don’t be put off by the title – in my mind this is the best practical handbook I have seen yet about using Web @.0 and social software for teaching and learning. For those of you who did pre-order paper copies they should be with you shortly, although we may have to reduce some of the numbers on bulk orders. for those of you who did not order a copy – do not despair. the handbook is now available for free download from the Taccle site (although you will have to register on the site first). The handbook is available in English, Spanish, French, Portuguese, Dutch, Italian and German languages! It is also licensed under a Creative Commons licence and you are free to adapt and remix the materials if you so wish. If you need any more persuasion before rushing to download your copy, the following excerpt is from the foreword. “Information and Communication Technologies are being increasingly used to create richer learning environments. In all sectors of education from primary schools to adult education, in schools for pupils with special education needs and in colleges and universities, technologies are being used across the curriculum to enhance students’ experiences. can also be freely exchanged with others. The European Commission Comenius programme funded Taccle project aims through training teachers to create e-learning materials and raising their awareness of e-learning in general, to help establish a culture of innovation in the schools in which they work. This handbook has been produced by the Taccle project partners in five different European countries. It has been written by teachers for teachers and caters for those with only basic computer skills and limited technical support. teachers who want a ‘hands on experience and also help and information for teachers who just want to find out about e-learning. identify and decide which ICT tools and content are most useful for particular purposes. 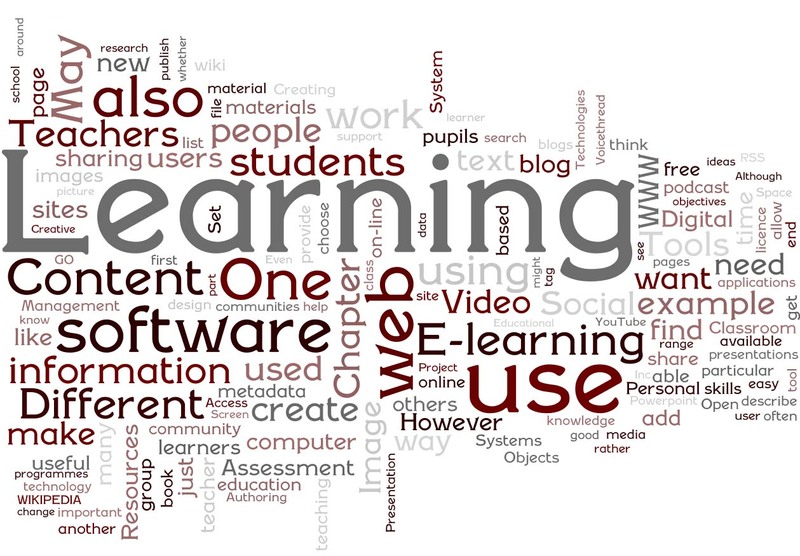 create learning objects taking into account information design, web standards, usability criteria and reusability (text, images, animations, audio, video) and which enable active, interactive and cooperative learning processes. use learning environments effectively in order enhance quality and create resources to help them do so. share the developed content with their peers using existing repositories. If you do not understand some of these terms do not worry. The handbook provides friendly step by step guidance about how to do it and explains the different terms along the way. Of course it might seem a little strange and old fashioned producing a printed handbook about the use of new technologies. But, as Jenny Hughes says in her introduction to the handbook, we felt that the very teachers for whom this book is written are probably the group least likely to use or feel confident about using web-based materials. A book is comfortable and familiar and that is exactly how we would like teachers to feel about e-learning. Technologies are changing very fast. When we originally applied for a grant from the European Commission, we anticipated the main focus of the handbook would be the use of Learning Management Systems – systems that help to organize and administer learning programs for students and store and organize learning materials. At the time, this seemed to be the most important technology for creating and managing content. But since then , we have seen an explosion in the use of social networking applications like blogs and wikis, as part of what has been called Web 2.0. These are tools which make it very easy for people to create and publish their own content in different forms – text, pictures, audio and video. These technologies make it easy not just for teachers, but for students to produce materials themselves and are increasingly being used in the classroom mixing traditional teaching methods with some e-learning methods in what is called Blended Learning. Last Wednesday I was honoured to speak (via skype) at the launch of the New Media School in Bucharest. The launch took place in the Modern Art Museum who are a partner in the project. The New Media School is a fascinating initiative by the students union to promote social and collaborative learning. For me the most encouraging thing is how they plan to use social media for teaching and learning. Anyway, whilst we were waiting for the start of the meeting, I made a short interview with Gabi Solomon and Vlas Atansui who have been two of the prime movers behind the project. Congratulations to them and everyone else associated with this project. Below is a text Gabi sent me about the project. The New Media School project is an initiative to support a community of practice of young students, responsible with communication in their organizations. The members of the community will be chosen for their interest and passion for web 2.0 and communication, and for the willingness to develop their skills in this regard. Their learning experiences, as far as the project is concerned, start with the real-life challenges they encounter while trying to develop communication and dialogue within and outside the organization, and ends with the changes they manage to implement while interacting with the New Media School community. Along the way, the project will facilitate a learning environment both on-line and offline, making use of a variety of tools like: wikis, a google group, googledocs, a social platform, twitter. The project aims to empower 30 students who study in Bucharest to create multimedia content about their projects and their organizations and to promote it using new media tools in experimental/inovative ways. Our assumption is that today’s literacy goes beyond being able to read and write. Nowadays it’s all about being able to effectively communicate your ideas by crafting powerful messages using text, sound, music, image and graphics and then promoting your message using web2.0 platforms. We are also interested in better engaging students in the conversation about education by helping them to deliver high impact messages about the way they are learning and the learning opportunities that they value. Working in small teams over the course of the project, the participants will develop the skills needed for shooting, editing and publishing video clips related to their projects, their organization, education, non-formal and informal learning. In addition to the hands-on approach the participants will explore, together with trainers and guests (bloggers, communication experts, video editors and directors) new practical ways of delivering their mesages to other young people and to the world. They will be encouraged to link up with other educational initiatives – which include anything, from campaigns, conferences, trainings, other youth projects etc. – and use their new media skills to promote these types of non-formal education. The content produced will be also published on the project website and promoted on-line through the use of social media and established on-line publications. The project is both a learning experiment in the innovative use of digital technologies as a form of self-expression, as well as a contribution to the creation of a free online resource of content generated by the learners themselves. Which methods we plan to use? We believe that the motivation for learning comes firstly from our real needs and desires. During these meetings, the members will share their experiences and the challenges they’ve met in the organizations, looking up new ways of solving them and integrating their individual experiences in a broader context. The community will also grow with the help of experts who have a lot of knowledge about this domain and are willing to share it with us. We will invite trainers to facilitate the process of learning and by doing this we will add value to the process of sharing and collaborative learning. Sometimes we can learn something only by doing. The workshops we plan are learning events, where we learn by experimenting together communication techniques, where we develop challenges and we obtain unexpected results. We learn best from and with our friends. We will include in the New Media School experience Time for knowing each other, for relaxing and having fun together. We like watching movies, seeing a theater play, cooking together or playing sports. Each and everyone of us enjoys meeting special persons, who are able to inspire and guide us, who help us find our own path and answer our questions. We invite those people to join our community and help us in the process of learning. Usually, the answers that we find during our meetings spark new other questions. Because of that we will keep these ideas and questions alive after the meetings, on an online platform made of many social and collaborative tools. This is a short video – the first in a new series of Sounds of the Bazaar videos – made as a contribution to a workshop on ‘Technology-enhanced learning in the context of technological, societal and cultural transformation’ being held on November 30 to December 1 in Garmisch-Partenkirchen, Bavaria. Learning as a process of meaning-making for us occurs through acts of communication, which take place within rapidly changing socio-cultural, mass communication and technological structures. Does the notion of learner-generated cultural resources represent a sustainable paradigm shift for formal education in which learning is viewed in categories of context and not content? What are the issues in terms of ‘text’ production in terms of modes of representation, (re)contextualisation and conceptions of literacy? Who decides/redefines what it means to have coherence in contemporary interaction? The LMLG sees learning using mobile devices governed by a triangular relationship between socio-cultural structures, cultural practices and the agency of media users / learners, represented in the three domains. The interrelationship of these three components: agency, the user’s capacity to act on the world, cultural practices, the routines users engage in their everyday lives, and the socio-cultural and technological structures that govern their being in the world, we see as an ecology, which in turn manifests itself in the form of an emerging cultural transformation. Look forward to your comments on this site or in the clouds. On Friday, I wrote up a report based on notes from a focus group which i led on the possible uses of technology for supporting Careers Guidance, Advice and counselling. The session was with a group of young people, aged between 12 and 16 and forms part of a project in which I am participating. There was little of surprise in most of the findings. All the participants used mobile devices (phones) for voice and text and half of them to access the internet. Most had at least one games console, all had access to he internet and home. It was interesting to note that all had unmonitored access to the internet at home, yet in general supported restrictions on access at school, because they feared unregulated surfing would distract them for learning. For on-line careers advice they all just used Google to find out details of different jobs. None accessed official careers services on-line. And they were sceptical about an extension of on-line services. They were very quick to say that any such services should not be at the cost of existing face to face service provision. That seems to be a problem to me. They instantly associated any extension of on-line services with cut backs in face to face provision. In other words, innovation is seen as a move to reduce services. Perhaps this is not surprising if you look at what has happened with industries like banks. But it is troubling that such young people should be so cynical. Oh and yes, they were not keen on the idea of careers advice via Facebook. That is our space, they said.